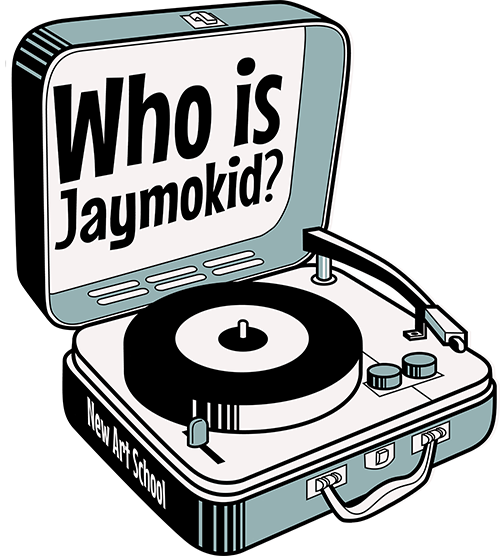 Jaymokid is a British artist who draws inspiration from the diverse and vast array of pop and sub cultures over the last 70 years to create snap shot comic panel Illustrations. Gelling his unique illustration style with different musical genres, lyrics and quotes. The results can be subtle or provocative, artwork that mean something to someone somewhere. Rooted heavily in the mod influences of the mid 90's Brit Pop scene he has since time tunnelled back through to its modernist jazz, soul and RnB roots. His work has been influenced by many other genres including Ska, Rocksteady, reggae, Punk, New Wave, Baggy, Dance, pop music and good ole Rock N Roll. Football culture, Lambrettas, Vespas and terrace clobber also heavily influence his subject matter. Whats the soundtrack of your life? Get in touch and have your favourite tune realised in a commission piece.